Lyft vs. Uber: Which is Better for Budget Travel? Lyft vs. Uber: Is There a Clear Choice for Every Situation? If you use ridesharing services, the question of Lyft vs. Uber will emerge. Which one is better for budget travel? The basic service with Lyft and Uber is largely the same. You summon a driver with an app on your smart phone. The driver arrives, already knowing your intended destination. You receive an estimate of the cost before the ride begins. Payment is handled through a previously approved credit card, with no cash changing hands. Once they learn to avoid common mistakes, budget travelers use Uber and Lyft to advantage. Both services have experienced rapid growth and intense attention from budget travelers. Each has developed a base of loyal customers. To attempt a universal answer that would apply to each rider or every travel situation could be misleading. But there are issues to consider that will lead you to an answer for your individual travel needs. Price, services, and availability are key considerations in forming that answer. Next, look at how costs stack up in the Lyft vs. Uber comparison. The first observation one must make about these two companies is glaring: the competition between them is fierce. Much like airline pricing, when one company offers a coupon or a bargain rate, the other is likely to follow suit and match the offer. That makes for an energized marketplace and difficult price comparisons. Some have even accused Uber of trying to kill Lyft with a price war and with alleged dirty tricks. But budget travelers in this situation usually are not all that interested in average price comparisons, which will vary -- sometimes widely -- by market. Frugal riders focus on which service presents the most opportunities for a low-priced ride. The nuances here are just too finite to name a clear winner. Largely, this because the models are so similar. But the rules will evolve and adapt to the marketplace. Expect lots of changes. Always favor what's on the service websites over what is written in this space or elsewhere. Both Lyft and Uber utilize an annoying and possibly costly strategy called surge pricing, in which you will pay many times the normal fare in high-demand situations. How the surge plays out in your city between the two services varies greatly. Savings are possible if you're willing to share your ride with another traveler. Lyft Line allows riders to share fares with strangers who might be headed in the same general direction. Your willingness to do this will lower the price, even if it turns out no one else takes advantage of the option. The downside, of course, is that if another rider shows up on the call, your arrival could be delayed. UberPOOL is a comparable option. It matches a maximum of two riders wanting to go the same direction. Unlike Lyft Line, UberPOOL pricing doesn't kick in unless there is actually a second passenger. As with other Uber services, you receive a range of pricing and the final charge to your credit card only comes after the ride is completed. Note that with these options, you could be the first passenger picked up and the last passenger delivered. That's because the GPS a driver uses might find the other rider's destination is closer, and dropping that person off first is more efficient. Bottom line: naming an overall price champion among these two services would be difficult at best. Lyft fares are a bit more predictable, with fewer layers of service to sift through. Uber, as the larger company, has shown an ability to undercut Lyft fares with some success in many markets. Next, consider the levels of service available with Lyft and Uber. The menu of Uber services is impressive, and potentially confusing. 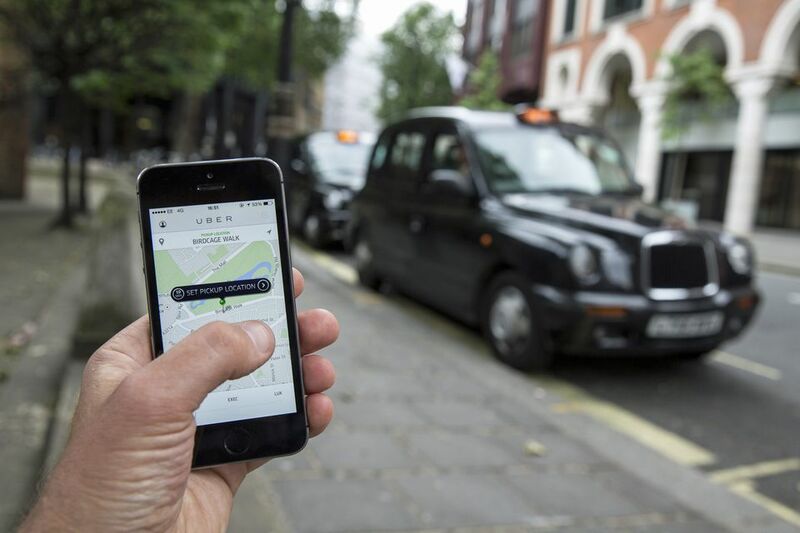 Riders looking for comfortable options like SUV rides and limousine service will favor Uber, which offers more of these amenities than Lyft. Three pricing categories on your app fall into this luxury category: UberBLACK, UberSUV, and UberLUX. On the economy side, Uber also offers three pricing categories from which to summon a ride: UberX, uberXL, and UberSELECT. UberX is the cheapest, most popular option with budget travelers. Lyft offers a total of four options, including the basic Lyft option and the aforementioned Lyft Line. The two other options are Lyft Plus, which sends a larger vehicle for bigger groups, and Lyft Premier, the luxury option for business travelers or splurge occasions. An argument can be made that Uber provides options for more situations and therefore is often a better choice than Lyft. But for many of us, a simple, low-cost ride is the overarching need. Lyft is easy to navigate. Customer service and support centers at both companies draw criticism and sometimes low ratings from groups like CustomerServiceScoreboard. Some argue that Lyft pays its drivers better than does Uber, so in theory they have more satisfied, friendlier drivers. But pay structures don't always equate to better service. One final thought about services: they are sometimes limited by market. You might not find all the services fully available in a smaller city. If you travel in these places, the service consideration might not matter as much. Next, read more about how many markets are served by Lyft and Uber. As the more established company, Uber has a wider service area than Lyft. That is a significant advantage that could provide a default answer to your Lyft vs. Uber choice. Uber is available in 512 cities worldwide as of this writing, with changes in that list extremely likely. You can catch an Uber ride in Minot, N.Dak., or Minneapolis. But the services available in those two cities may vary. Roughly half of those Uber markets are outside the United States in Central and South America, Europe, the Middle East, Africa, Asia, and Australia. By contrast, Lyft at this writing offers only nine markets outside the United States, and 233 markets in 34 U.S. states plus Washington, D.C. If you live in a market served by both Lyft and Uber, it pays to download both apps and audition the companies in a variety of circumstances.